WASHINGTON — There’s a lot going on this weekend. Many around the D.C. area are celebrating the Easter holiday, while others are excited to spend their days off rooting for their favorite local team. This very busy weekend kicks off with a Nationals early game at 1:05 p.m. Saturday. 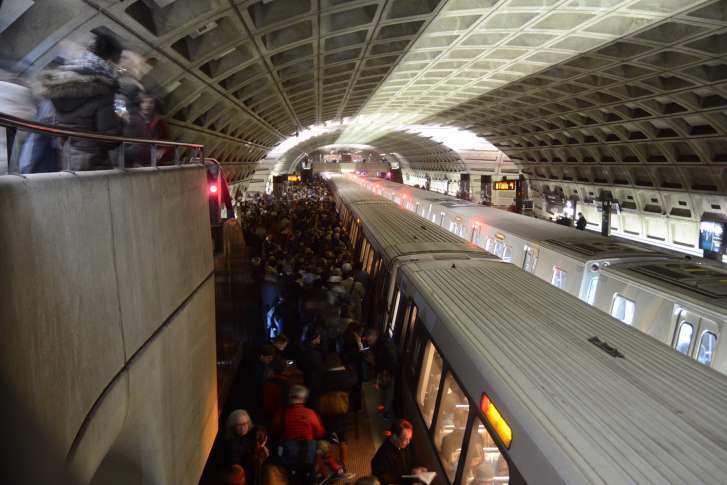 Those fans will be crowding onto Metro just about the time Capitals fans begin making their way to the Verizon Center to “Rock the Red” at 7 p.m.
Also on Saturday, the next Metro Safety Surge (No. 14) begins and affects service on the Green Line. During Phase 1 of this surge (scheduled to run through April 29), the Greenbelt and College Park stations will be closed, according to Metro. Free shuttle buses will run between Greenbelt and Prince George’s Plaza, with an intermediate stop at College Park. Green Line trains will run close to regular service elsewhere on the line — between Prince George’s Plaza and Branch Avenue — every six to eight minutes during rush hours. Yellow Rush+ trains will not operate during the surge. On Easter Sunday, expect downtown traffic as families circle for a brunch spot following holiday services. And Wizards fans will add to the crowd when they head to Verizon on Sunday for the team’s first playoff game against the Atlanta Hawks. Tip-off is scheduled for 1 p.m.
Further complicating traffic will be fans heading to Nats Park for Washington’s game against the Phillies at 1:35 p.m.